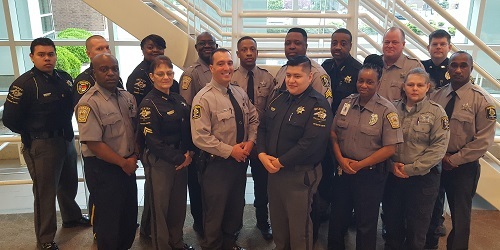 Sixteen law enforcement officers completed Crisis Intervention Team training held April 1-5 at Edgecombe Community College. Agencies represented included the Edgecombe County Sheriff's Office, Vidant Edgecombe Hospital Police Department, Wilson County Sheriff's Office, and Wilson Police Department. EastPointe in Rocky Mount facilitated the class.